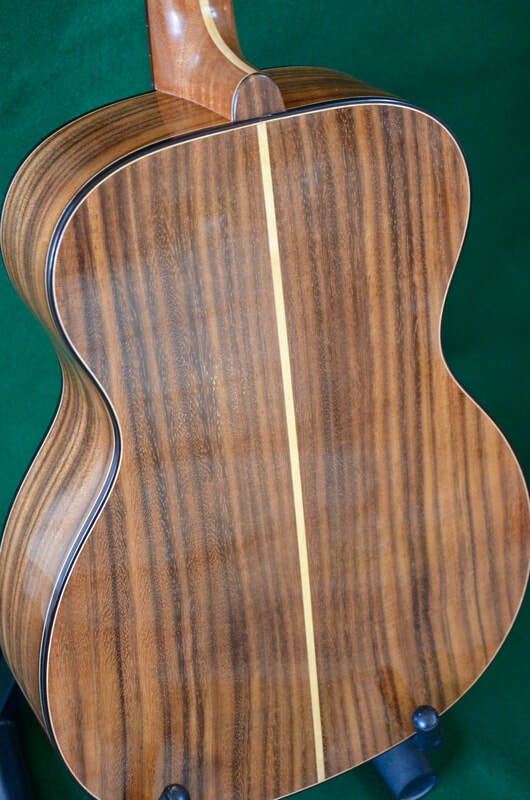 Indian Rosewood back and sides. 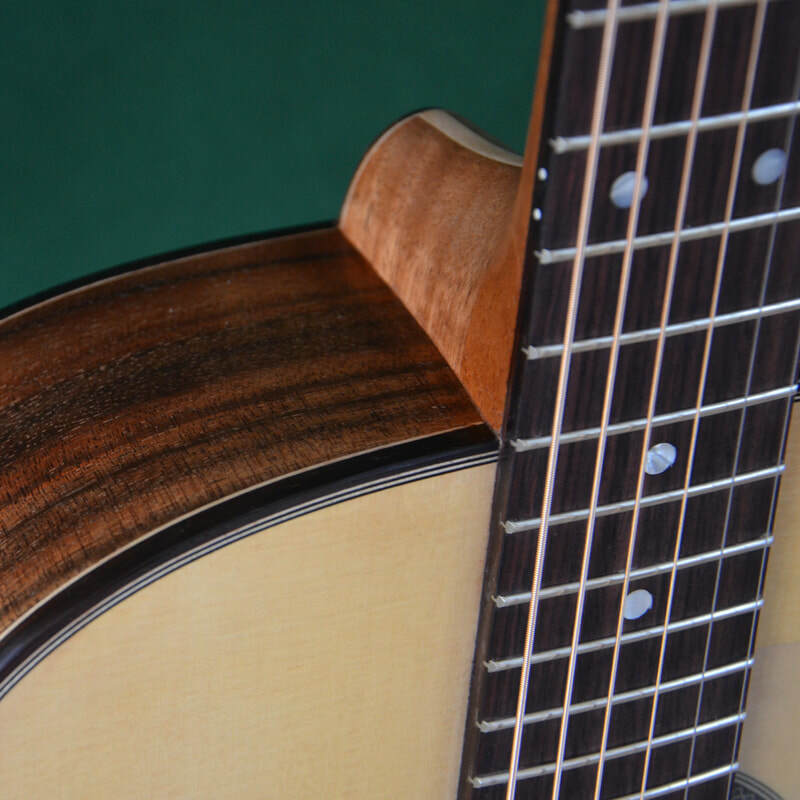 Yellow Cedar top with X bracing. 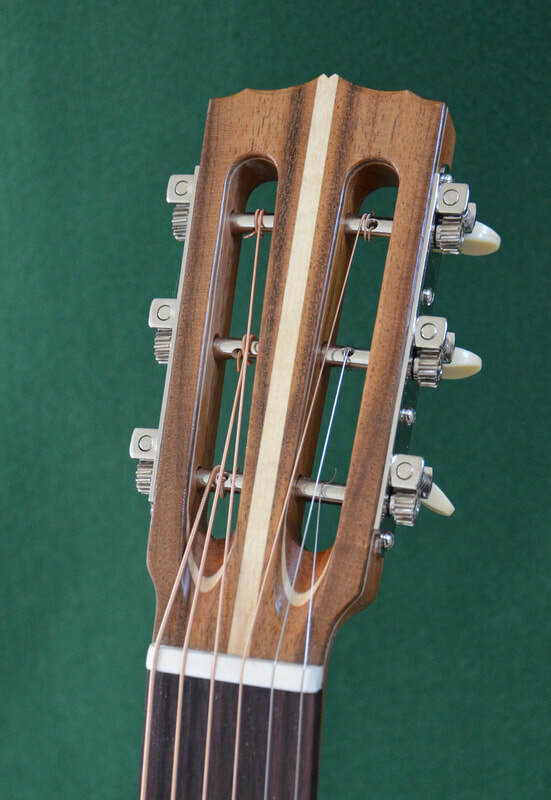 Mahogany neck with slotted head, 43mm at the nut. 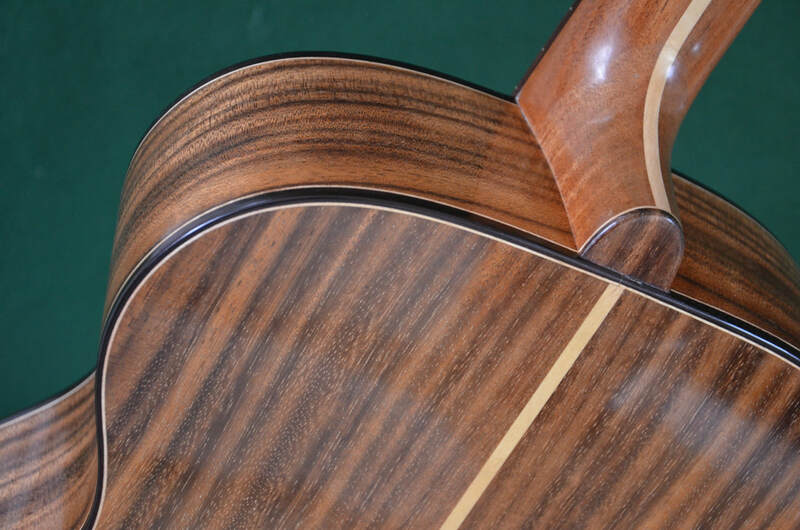 Indian Rosewood head veneer. 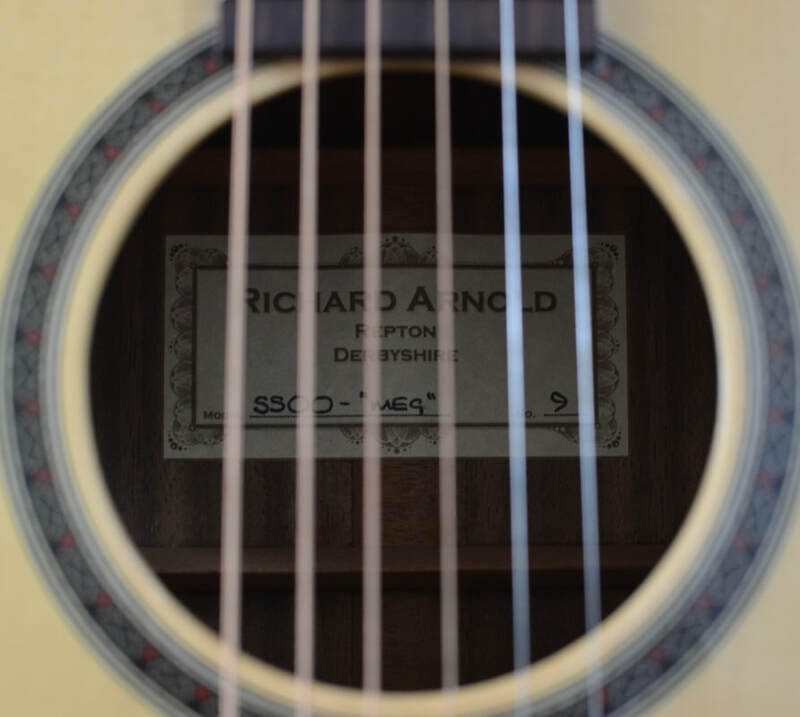 Sound-hole adjusting two way truss rod. 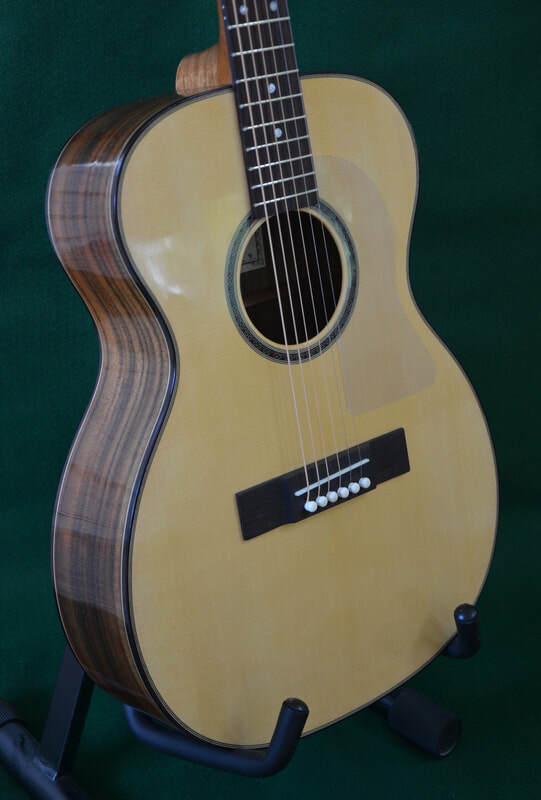 Indian Rosewood fingerboard of 24.75" scale length with 20 frets, 14" radius with 14 fret join. 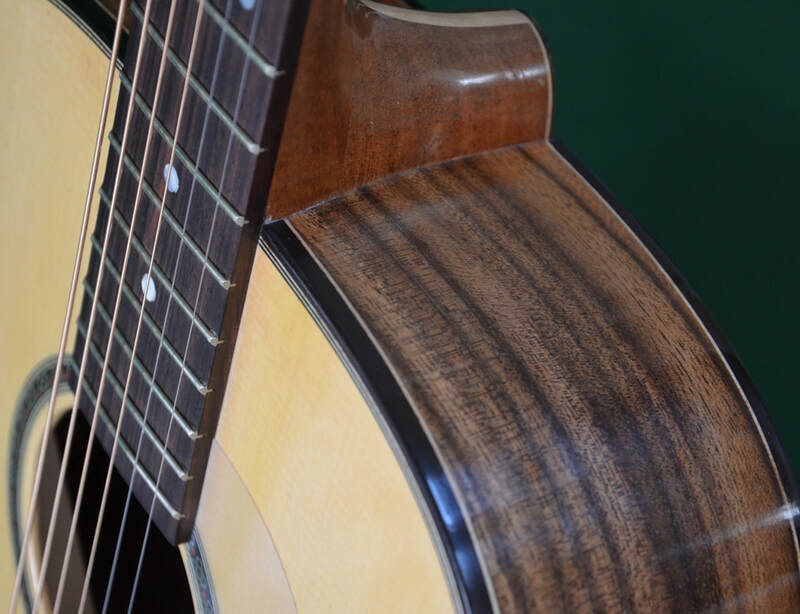 Indian Rosewood bridge and bindings. 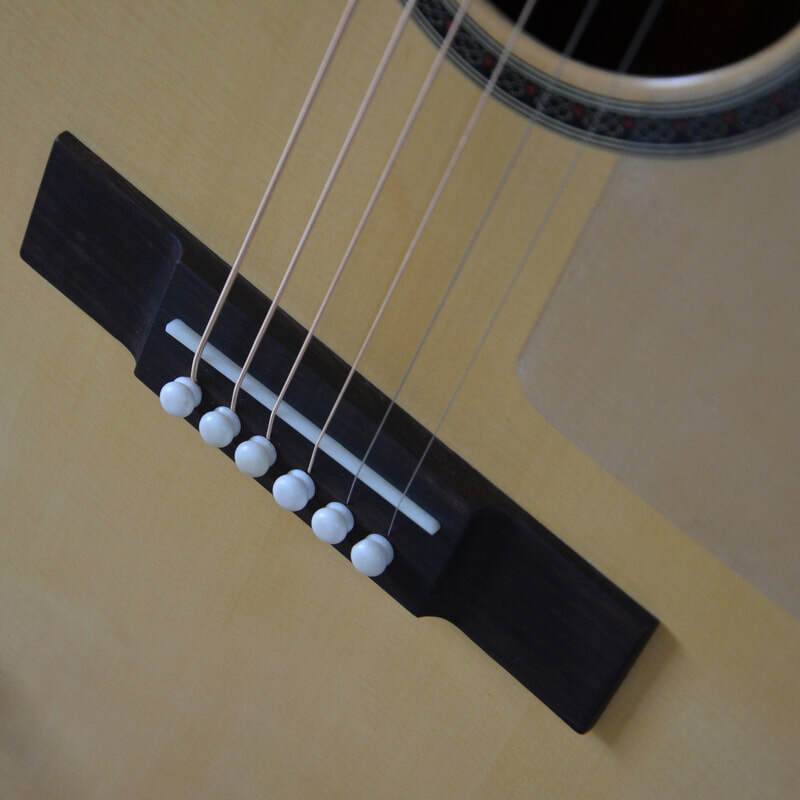 Steel string slotted style tuners. bridge pins, nut and saddle. ​​Siris back and sides. 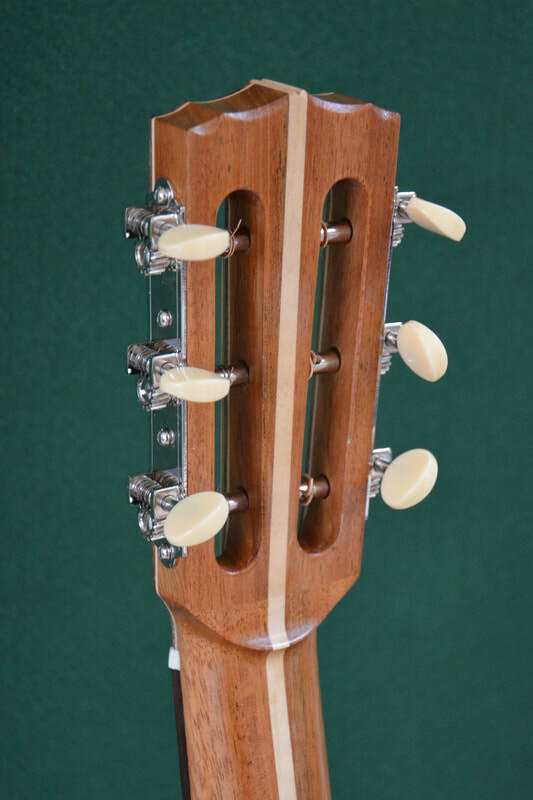 Mahogany and Maple three piece neck.